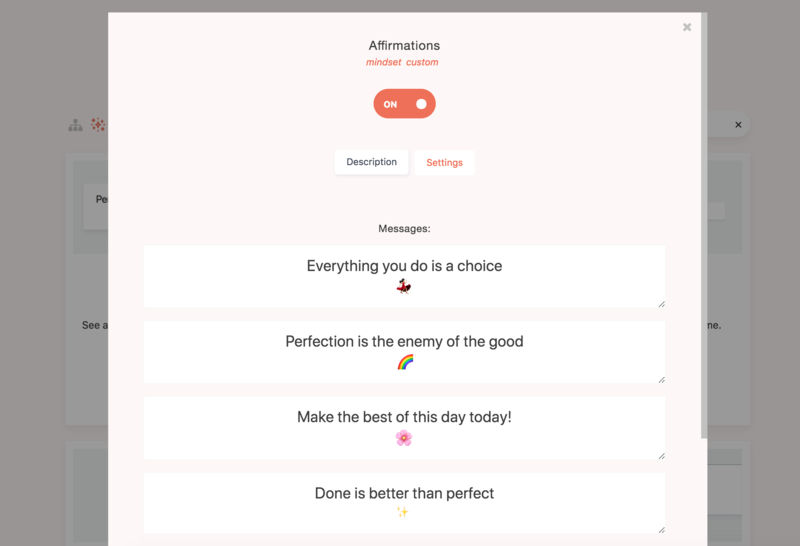 The affirmation strategy allows you to set up custom messages (e.g. 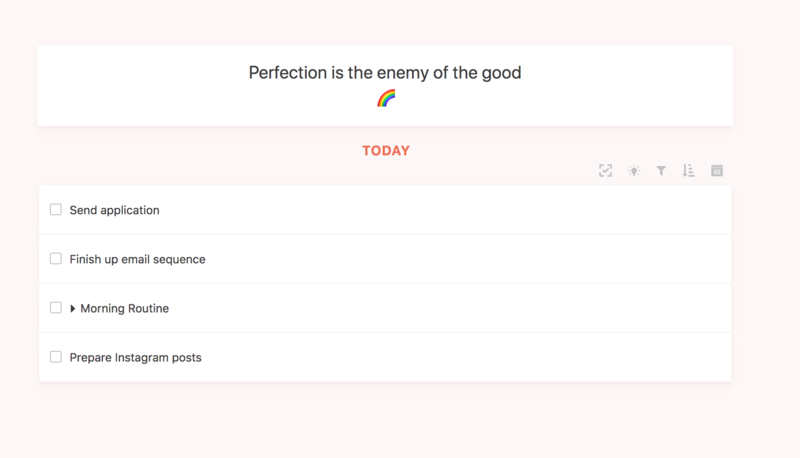 mottos, quotes, mindset reminders) which then get displayed one by one at the top of your day view each day. All you have to do to get started is set up your custom messages in the settings of the strategy. Click the button at the bottom to add a new message.